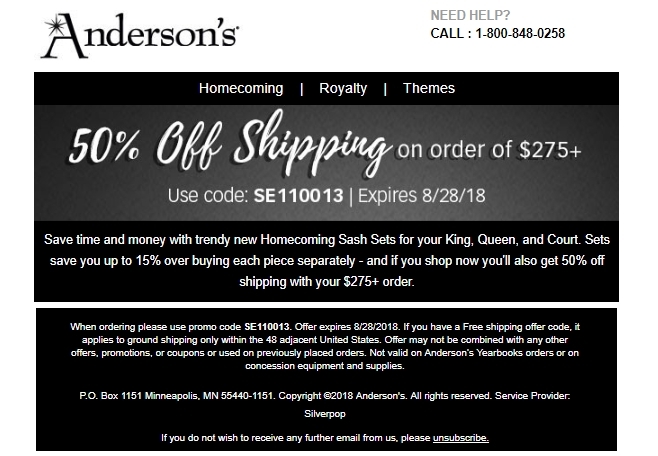 Miguel S I have tested this code: SE110013 and is working as described, place it at the checkout, and enjoy the discount in the store: Anderson's. Jose Velasquez I can confirm that this deal works as described. 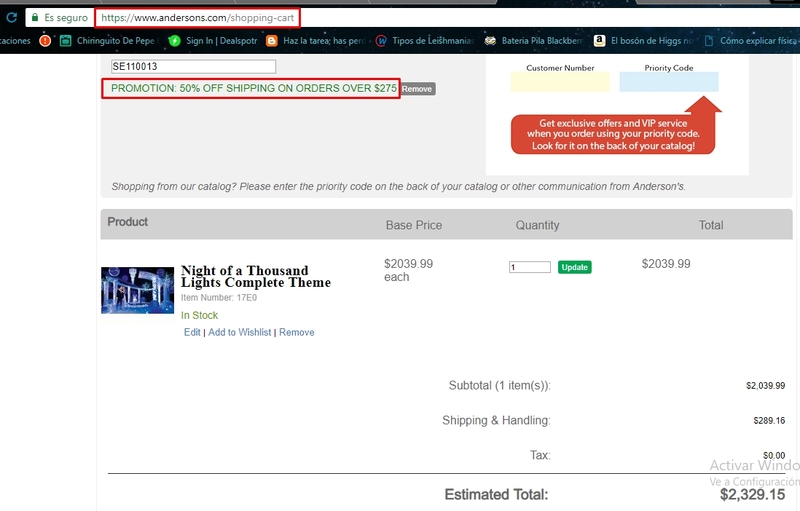 Just choose your desired products to add to the shopping cart and apply the promotional code SE110013 in the checkout section to get 50% off shipping on orders of $275 or more. Offer expires 08/28/2018.